Online casinos offer a great range of secure deposit options for real money players, with MasterCard being one of the most widely accepted and globally recognised brands available. Whether you have a MasterCard credit card, debit card or pre-paid card you can easily make a deposit with instant access to your funds to start playing online pokies and table games for real money without delay. All of the casinos in the table above have undergone our strict testing process to ensure they are reliable, fair and secure, while offering a huge range of fun online casino games for free and real money play. 1. Sign up for a real money account at a reputable casino that accepts MasterCard, like the ones recommended in the table above, taking advantage of welcome bonuses when registering for the first time. 2. Follow the prompts to head to the casino’s cashier or banking section. 3. Select MasterCard credit or debit card as your deposit method of choice. 4. Enter your personal MasterCard details (credit card number, name, expiry date and CVC) and the amount of funds in your local currency that you wish to transfer to your casino account. 5. Hit transfer and the funds will be processed instantly, appearing into your account within minutes. That’s all it takes – you’re now ready to enjoy the range of real money casino games on offer, from keno to roulette and everything in between. When choosing MasterCard for your casino deposits you benefit from the swift processing time, with money available instantly unlike deposits made by direct bank transfer which can take up to three days to hit your account. It’s important to be aware that there are certain restrictions on how much and how little you can deposit using your MasterCard. Firstly, be mindful that most financial institutions place a limit on how much money can be spent using a credit card within a 24 hour time frame. This varies from bank to bank, so if you’re unsure of your daily limits contact your financial institution for further details. www.RoyalVegasCasino.com – RVC requires a minimum deposit of $10 when using MasterCard for the first time and only a minimum of $5 thereafter. It is also one of our only recommended casinos that doesn’t enforce a maximum deposit, so you can transfer as much as you want provided your card doesn’t have a personal limit imposed. www.HouseofJack.com – MasterCard payments at House of Jack requires a minimum deposit of $10 and allow a maximum of $5,000. Funds are available instantly and will incur a processing fee of 2.5%. www.EmuCasino.com – More suitable for the high-rollers, Emu imposes a minimum MasterCard deposit of $1,000 but allows a maximum of $250,000, with no transaction fees added. Each of these sites is protected by a minimum of 128-bit SSL (Secure Socket Layer) digital encryption security to ensure that all MasterCard transactions are processed without compromise to your safety. 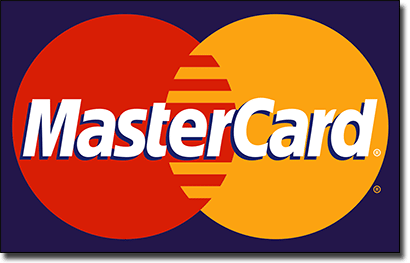 MasterCard has been a trusted payment option for decades, with its global acceptance making it a popular credit card for every day purchases, online transactions, bill payments and travel expenses. The red and yellow logo is one of the most recognised brand logos around the world, which is testament to its widespread and trusted use. While there are many other great casino deposit options available (Neteller, Skrill, UKash, Paysafecard, etc.) most Internet users aren’t familiar with these brands to they tend to turn to a name they know and trust, like MasterCard. Choosing MasterCard for your casino deposits brings many benefits, ensuring that payments are not only protected by the SSL encryption in place at the casinos, but also by the strong anti-theft and anti-fraud measures used by MasterCard itself. On the rare off-chance that your credit card privacy happened to be compromised, the MasterCard team are there to back you up and refund any unauthorised transactions made from your account. We’ve yet to come across a leading online casino that doesn’t accept MasterCard, making it an ultra-convenient deposit choice for online gamblers. All the venues you’ll find recommended in our table above offer deposits using MasterCard. We highly recommend Raging Bull Casino as our top-rated casino site for players from United States, which has some excellent welcome bonuses available for new players.